Shopify shop owners can now offer the same feature simply by installing a small add-from the App Store. Below is a comparison of the top 3 virtual try-on app on Shopify. Glazfit by Mevry is the easiest and most cost-effective solution. The number of products and visitors. Shop owners only need to upload a good quality photo to create a try-on frame. 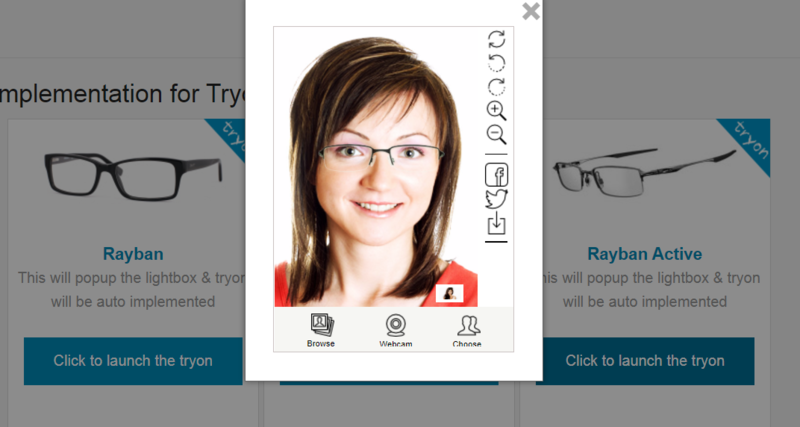 Faces are automatically recognized and glasses are sized and positioned accordingly. The team behind Glazfit also proposes a framing design service at a cost of US$7 per photo. Magic Mirror by Virtooal is a complex multiplatform and multidevice product visualization solution. Try-on products include decorative cosmetics, apparel, fashion accessories, eyeglasses and lenses. In addition to webcam capture and photo upload, Magic Mirror allows to navigate between various photo models. As a shop owner, we have to manually adjust the size of the frame for each product. Also our default theme didn’t work the first time. The price of the plan also depends on the usage volume: 20 products and 1000 monthly users for the free plan. 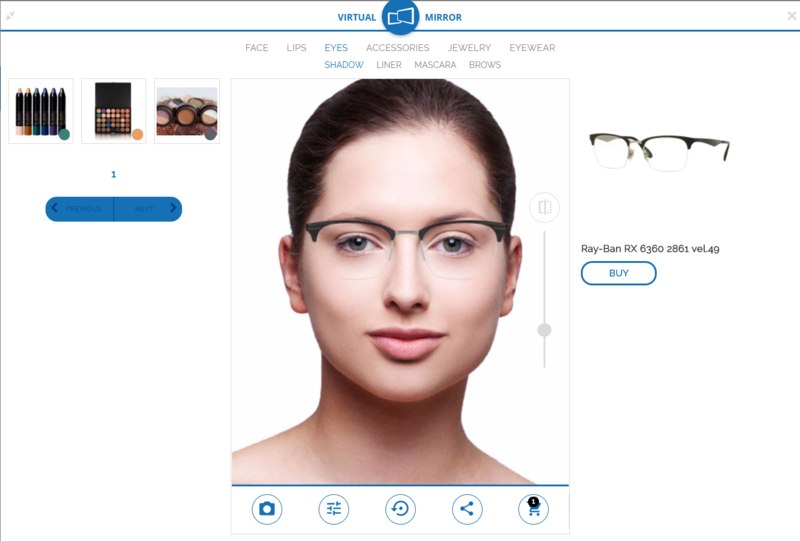 Virtual tryon eyewear by The Softsol, is designed to be compatible with all devices, themes and platforms. The product is an one time cost and doesn’t have limitation on the number of products or try-ons. 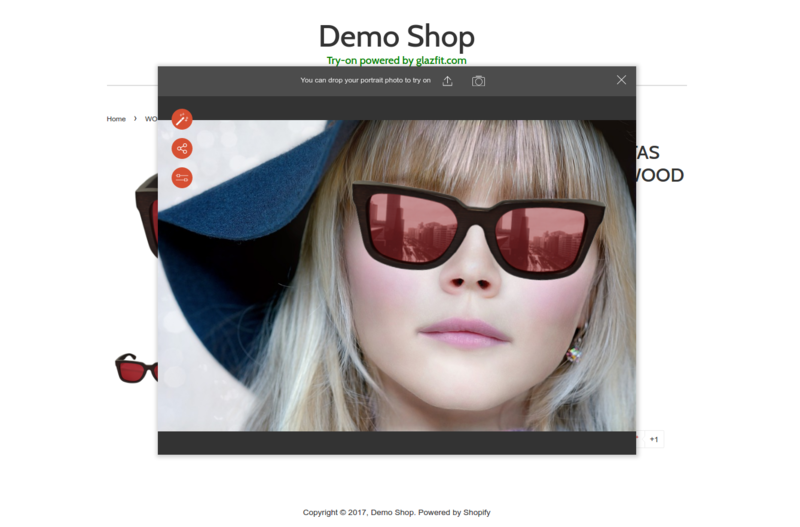 We couldn’t test the set-up process for Shopify as there is no free trial. Also only the Pro version has automatic face recognition and usaully needs manual position and size adjustments. Do you know any other virtual try-app for Shopify or have experience with one of the above products ? We would love to have your comments.